When growing a small business client by client, it can become frustrating that it feels like you are never reaching that “critical mass” that you are looking for. 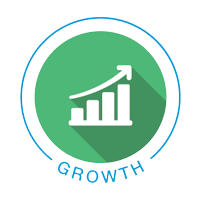 When this happens, many business owner look to supplement their organic growth with growth through acquisition. Making an acquisition to grow your company is a great way to leapfrog your top line and help build a critical mass of revenue base for continued growth; if you do it right. Purchasing a competitive company to boost your growth efforts can be great, or can cripple your organization. It is critical that you understand that when you buy a company’s successes, you also buy its failures and problems. The due diligence process should help you weed out a lot of the detailed issues, but there are some high level things you should consider before even getting down into the weeds. One of the fastest ways to kill the great culture that you have built, is to buy a company with a grossly conflicting culture. Even two companies with “great cultures” may be very different and may not play nice with each other. It is easy to say that you will “convert” the new folks but it takes a long time to do this when there are multiple employees being hired. It can lead to conflicting camps and lots of turmoil. In most businesses, the reputation of the business is heavily weighted by their mindset about customer service and the client experience. If the target company’s policies are vastly different than yours in this area, it can be detrimental to how you will operate going forward. If the prospective new customers don’t receive the same level of care and feeding that they always had, you can quickly lose the primary asset you are buying. So if you hope to integrate the new clients into your process and it is not as “customer friendly” as the old one, you could be in for trouble. In many small companies, there are pretty lax policies about hiring friends and relatives of the owners and that is fine while the owner is in place as long as they know how to manage it. If however you buy an organization with many of the key people holding a strong allegiance to the previous owner, you can end up with dissent and even loss of critical employees and company information along the way. If you are looking at an organization like this, be sure to be very up front and clear with the prospective new employees about the role of the old owner and how things will be run moving forward. A failed acquisition can break an otherwise successful small business so be sure to go into it with your eyes wide open about what the future would look like once the companies are merged. This entry was posted in *All Posts*, Employees, Leadership, Management, Sales. Bookmark the permalink. ← How do I determine where my sales people are falling down in the sales process?